I have a feeling this will be on my wishlist for a long time as it's soooo expensive and I just don't have the spare money right now. But oh would I love to have this! I have read lots of posts reviewing it and seen lots of YouTube videos with it in action and it just looks amazing. I am rubbish at curling my hair and the Curl Secret really does seem foolproof. I have seen a lot of love for this product in the blogger world. It can be used as a highlighter, eyeshadow and just to give a bit of general shimmer to your skin. Of course I really don't need this - I already have two highlighters plus numerous highlighting eyeshadows - but it's just so prettyyyyyy. On all the pictures I've seen it gives such a gorgeous but subtle glow. The packaging of the product is fab too. I always put a perfume on my birthday or Christmas list, and with my birthday in a few months this is the perfume I've added to it. I always smell it when going past a perfume counter! It's a floral based fragrance containing centifolia rose, India osmanthus, catleya orchid and sambac jasmine. Of course the vintage looking bottle would look amazing on my dressing table too! I have a bit of an obsession with trying eye creams - I have very bad dark circles and will use anything that might help them look that bit better! I love the Estee Lauder Advanced Night Repair Eye, but this one is cheaper and is also free from parabens, fragrance and mineral oil. It also contains lots of lovely natural ingredients, such as Lavender and Evening Primose. I've always wanted to try an "invisible" powder with no particular colour or shade to it. This one sounds ideal for my spot prone skin as it's talc free. It's also fragrance, paraben and silicone free. It is designed to soften skin, minimise the appearance of pores and remove excess shine for a polished finish. I'm currently making a list of makeup products that would work well for my wedding day next year and I think this would help obtain the flawless finish I so desperately want. 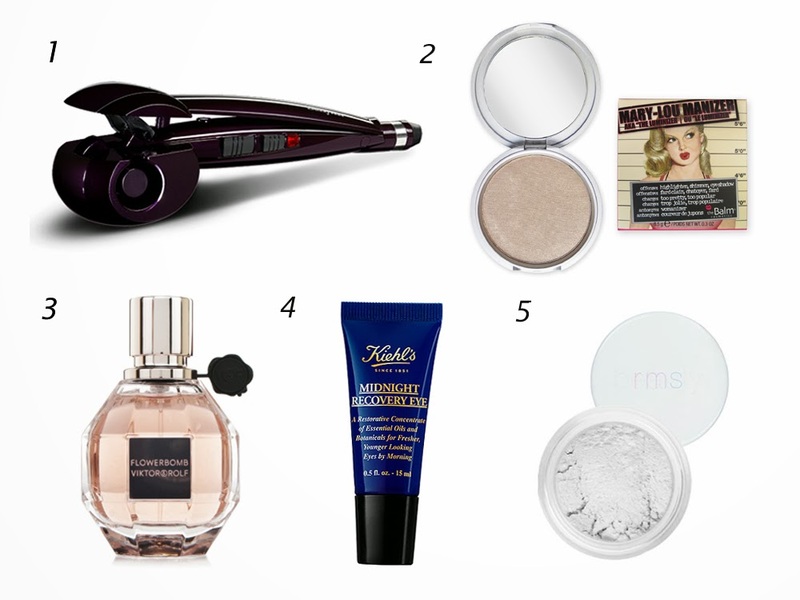 As is always the way, since writing this wishlist a few more products have caught my eye! 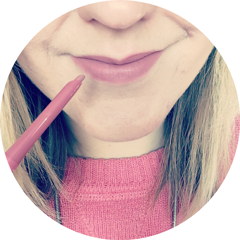 So I'm just going to give mentions to the Frat Boy Blush, also by theBalm cosmetics, which is a gorgeous peachy colour. Plus the Indie Lee Blemish Lotion, which looks like a completely natural version of the Mario Badescu Drying Lotion. What's on your beauty wishlist right now? Do you use any of the products mentioned above? These are all things I want too! Apart from the Mary Lou Manizer because I already have that and it's definitely my favorite highlighter. I don't own this perfume either but it smells sooo good! Want. Babyliss products are really nice, but they sure cost quite a lot!